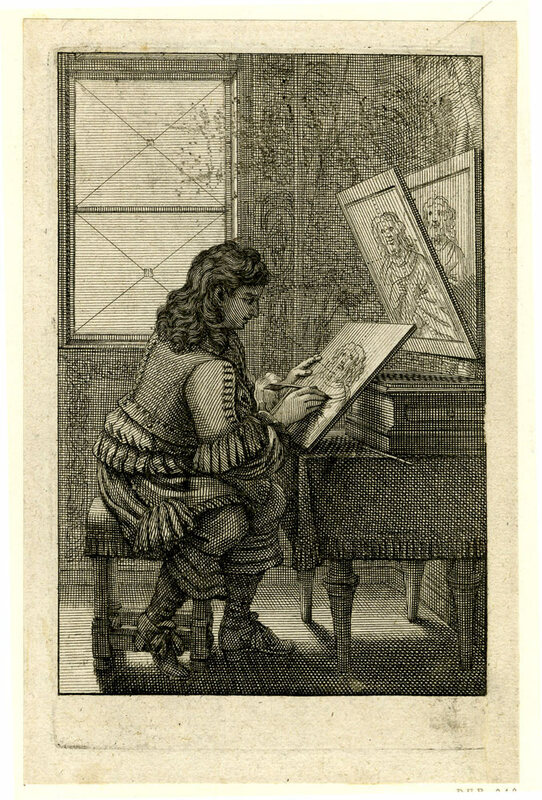 Abraham Bosse, Différentes manières de dessiner et peindre (Different ways to draw and paint) (ca. 1667), etching,14.5 x 9 cm. The British Museum, London, 2AA*,a.53.31. ©The Trustees of The British Museum, London. In mid-September, the Clyfford Still Museum in Denver opened an exhibition of Still’s “Replicas”—compositions that the great Abstract Expressionist painted two or three times on different canvases.1 Still’s jagged structures and densely wrought brushwork have long served as emblems of the emotional urgency and moment-to-moment improvisatory engagement of Abstract Expressionism, so to see two almost identical examples side-by-side is unsettling, like discovering that an impassioned speech has been carefully rehearsed and delivered to multiple beloveds. Still’s explanation—that replicating paintings was “necessary” when “the importance of the idea or breakthrough merits survival on more than one stretch of canvas”—is a reminder that replication is a far more complex, diverse and meaningful activity than the pejorative term “copy” suggests. Once a standard part of artist training, copying fell out of favor more than a century ago. Thomas Eakins argued, “an imitation of imitations cannot have so much life as an imitation of nature itself,”2 and by the 20th century, even copying nature itself came to seem an irrelevant drudgery to many art students. The Modernist artist-hero was an innovator not an imitator, and while postmodernism resurrected copying—redubbed “appropriation”—as a conceptual practice (see Elleree Erdos’s review of Mike Bidlo’s Not Manzoni edition in this issue), in effect it substituted the concept for the composition as constituting the requisite innovation. Recent years, however, have seen increasingly nuanced research by art historians into the creative reuse, adaptation, translation and recontextualization of one artwork by another. This issue of Art in Print brings together art from the 16th century to the present, and considers shifting perceptions of imitation, innovation and mutton dressed as lamb. The St. Louis Museum of Art’s recent exhibition, “Beyond Bosch: The Afterlife of a Renaissance Master in Print,” surveyed the influential print legacy of Hieronymus Bosch, an artist who made no prints. Armin Kunz explores how Bosch’s quixotic personal style was expanded into a posthumous brand, while exhibition curators Elizabeth Wyckoff and Marisa Bass consider the claims to Boschness of prints by two artists who shared the original artist’s hometown. The triple role of reproductive prints as original objects of connoisseurship in their own right, documents of absent paintings, and instruments of political pedagogy is at the heart of Helena E. Wright’s recent history of the Smithsonian’s first art acquisition, the print collection of George Perkins Marsh; Marie-Stéphanie Delamaire reviews the book and its insights into the American attempt at culture building. re-creation lead to visually and conceptually dense works of art: his photogravure of his own painting after a painting by Camille Corot is discussed on page 24. The third project in our Art in Art in Print series—Stephanie Syjuco’s Market Forces—moves the conversation about the copy into the economic sphere: an endlessly replicatable DIY multiple that imitates a mass-market consumer product ubiquitous in authentic, inauthentic, cloned, stolen, borrowed, hacked and repurposed forms. This issue also includes reviews of a number of significant recent publications. Joan Greer looks at Clifford S. Ackley’s Holland on Paper in the Age of Art Nouveau, an important overview of an understudied area of Dutch prints and drawings. Brian Cohen considers Björn Egging’s recent book, Lyonel Feininger: Woodcuts: Becoming a Bauhaus Artist, and the role of prints in the development of Feininger’s painting style. 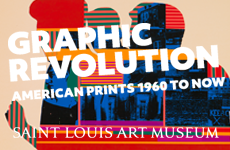 And Jill Bugajski looks at two recent publications that address the history and function of the poster, its social impact (Elizabeth E. Guffey’s Posters: A Global History) and its visual function (Ellen Lupton’s How Posters Work). Finally, the winner of this issue’s Prix de Print, Kathy Aoki’s permutational 12-part landscape, Makeup Myriorama (2015), is explored by juror Stephen Goddard.